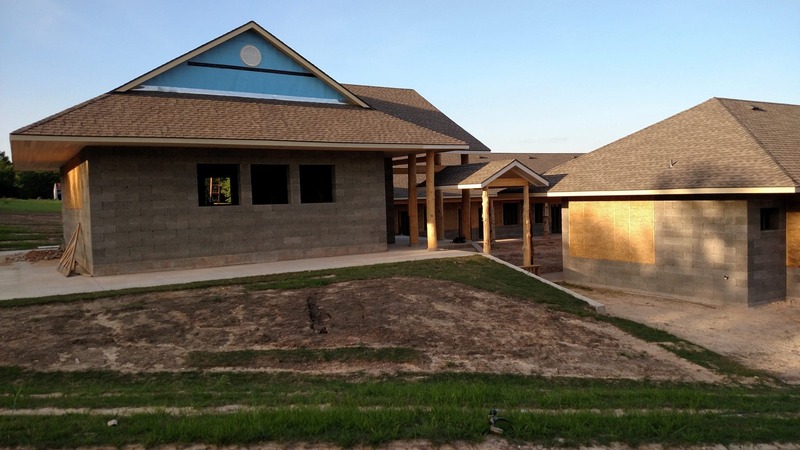 Buddhist Temple in Texas Showcases Faswall’s Versatility - ShelterWorks Ltd. When a Buddhist community in Dallas started making plans for a new temple, cafeteria and dormitory, they wanted to create the healthiest and most ecological buildings possible. Inspired by the work of EcoNest® Company, they decided a mixture of straw and clay would be their primary building material. 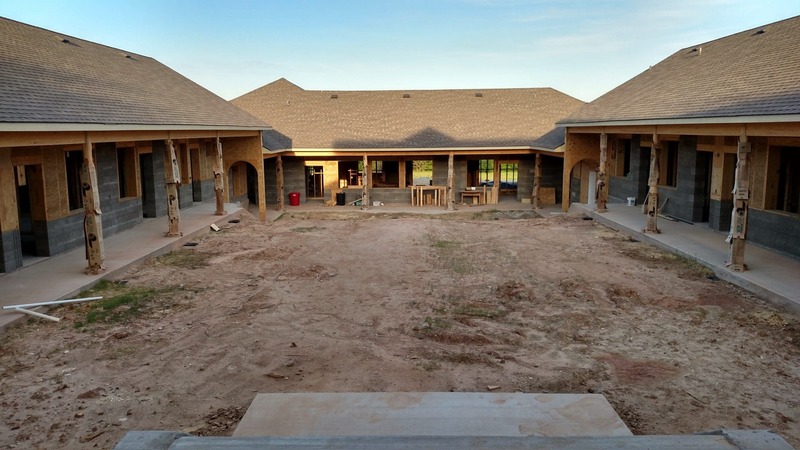 While this combination is ideal for shaping and insulating walls, they also needed a product that would create a strong, durable and dry foundation (and, for the two-story dorms, strong bearing walls). They selected Faswall, a versatile ICF wall form that’s ideal for many types of projects. 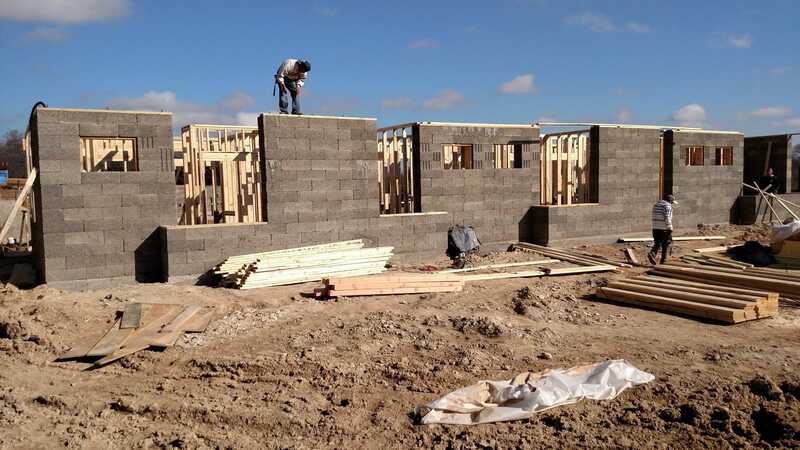 While Faswall’s easy-to-use blocks can be used to create DIY or contractor-built homes, office buildings, warehouses, outbuildings and other structures, they also make great foundations and basements for buildings crafted from other materials. The leadership team in the Buddhist community liked Faswall because the concrete and wood blocks are made of 100 percent organic materials. Eighty-five percent of the wood in each Faswall block is clean, recycled pallet wood. It’s combined with virgin wood and Portland cement to create a product that will not off-gas chemicals into buildings. The vapor-permeable nature of the blocks is important when it comes to other factors that affect indoor air quality. Because of Faswall’s porous hygroscopic nature (i.e. the walls store and release water vapor through diffusion), the blocks keep relatively humidity levels low enough that mold spores don’t grow in the walls. That keeps potentially toxic mold out of your building. Faswall’s ability to regulate relative humidity also keeps the structure more comfortable and livable. Most of the time, humidity is higher inside a home due to activities such as showering, cooking, even breathing. When a home has walls that don’t breathe, and therefore relies on mechanical ventilation to vacate moisture, the indoor air can become denser than the desired 30 to 40 percent humidity level. That leads to the heavy-feeling air we often experience in basements. Faswall’s porosity allows excess indoor humidity to diffuse through the walls. With proper waterproofing, they don’t allow water to seep into structures. That’s why they’re great for foundations. The other reason is that their mineralized wood composition makes them strong and durable. Faswall gives people building with straw bale, timber frame or clay/straw slipform a good base wall system to support upper walls. 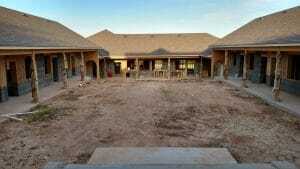 The Dallas project isn’t the only time Faswall has been used to build a Buddhist temple. 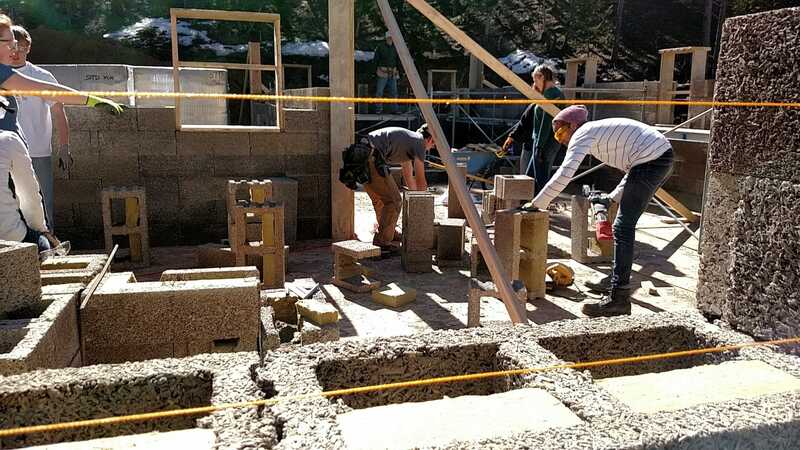 Check out this story and video of the Sravasti Abbey in Washington to see their beautiful structure, which is built entirely with Faswall blocks. Other religious congregations have also selected Faswall as their building material of choice. Perhaps that’s not surprising. Faith helps comfort us in times of despair, celebrate in times of joy, slow down and reflect on the things tha t are important to us. Just as a belief system is a versatile tool for living, Faswall is a versatile tool for creating the places that nurture and protect us. No matter what type of structure you’re thinking about building – and no matter what type of material you’re thinking about using – Faswall can play a role in your next project. Contact us today to learn more about using Faswall building blocks for churches, temples, foundations, homes, offices, commercial buildings, outbuildings and more.